Assistant Professor at SUNY Korea focused on making teams work and understanding when they don't. Micah is an Assistant Professor in the Department of Technology & Society, College of Engineering and Applied Sciences at State University of New York, Korea. After working as an enterprise software developer, Micah pivoted to education, completing his Masters in instructional design, development and evaluation from Syracuse University while teaching English as a second language. Later, and through the completion of his Ph.D. study of instructional systems technology at Indiana University in Bloomington, he worked as an instructional designer to close performance gaps for clients in the financial services, healthcare and software industries (among others). Micah's research focus is on developing collaborative teamwork skills and he uses his collaboration support platform (http://CoLab.online) to work with methods including gamification and self- and peer-assessment to achieve his research and teaching goals. 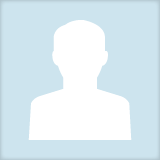 Micah Modell updated their profile information.